What time is it? It’s time to get your own e-commerce watch web design. Our customized watch websites can handle different watch series, brands, bands, watch batteries, clasps or just about anything. Customers can have a pleasant shopping experience as they browse your large selection of fine designer watches. Bitochon Technologies is a full service company and can take care of all your computer needs, web designs, web site development, business intelligence, and SEO (Search Engine Optimization). Our websites can be fully maintained once developed and running on-line. There is no need to call on a programmer once you start using our websites, we can train you to do it yourself. They are so easy to use and maintain. So, why not expand your business and modernize your company with one of our watch designs? Isn’t it about time you did a website. Why Does My Company Need a Web Site? An e-commerce web design can enable your company to display your watches with beautiful colorful pictures. Presenting them in an organized and attractive manner, presentation of your product is very important for viewers to stay when they visit. You can display them according to brands and prices and give pertinent information about each different style. You can also display your available watch supplies, like watch bands and batteries. Your visitors will immediately notice your presentation and want to stay and shop for watches. 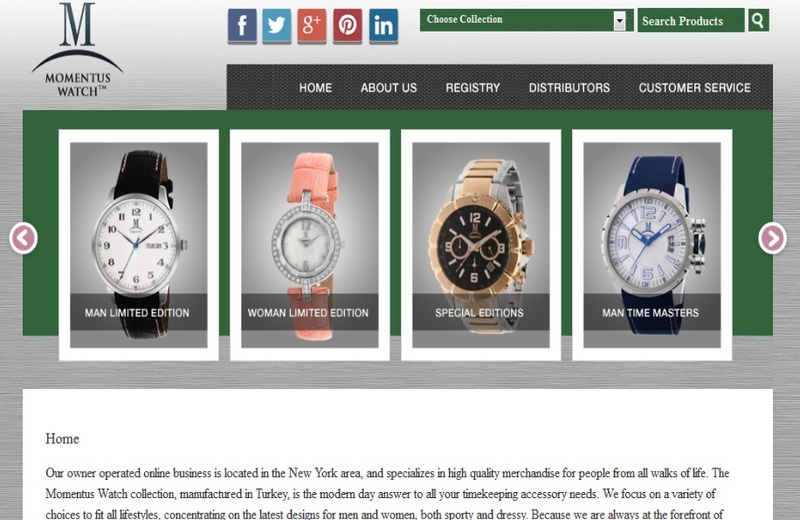 If you are a wholesaler, retail merchants are also able to view your watches and place an order online. They can also call or fax you with their orders, no need to send a salesman over. This will also enable you to sell watches nationwide, wholesale and retail, not just locally. The watch market is very competitive and to be a leader, the Internet is the place to be, so step up to home plate; it’s your time now! It is the best place to advertise, make yourself known, and always be open for business. Are you ready to go forward, time is running out! What Does An E-Commerce Web Site Do? An E-Commerce developed site for watches brings presence to your company, saying to your current clients-who you tell you are now on the internet-and new clients from your web site, that you are a modern and with it company: a part of today’s world. You allow visitors, customers and resellers, to be able to purchase your product without getting up from their seat. Your business becomes their on-line watch store. Can you picture them walking with their shopping carts up and down your aisles? Customers can now buy your watches for themselves as well as gifts for birthday’s, graduation or any occasion. Their purchases can be done with a click and a credit card and sending the money directly into your bank account. This happening can also take place while you are sleeping-imagine-earning a profit while you sleep! Can you do this with local advertising, not at all! Are you listening? Is that your cash register ringing up the sales! Bitochon Technologies, located in the New York area, is a company that began many years ago as a small group of computer experts and has grown to now be known nationwide for our outstanding web designs, computer consulting, web site development, SEO, and PPC. Our reputation for honesty, caring, service, and tech support has taken us to the top of our field. Our staff is always available to hear your business concerns and help find your solution. We can walk you through the learning process of how to use your web site and be there to answer your questions. 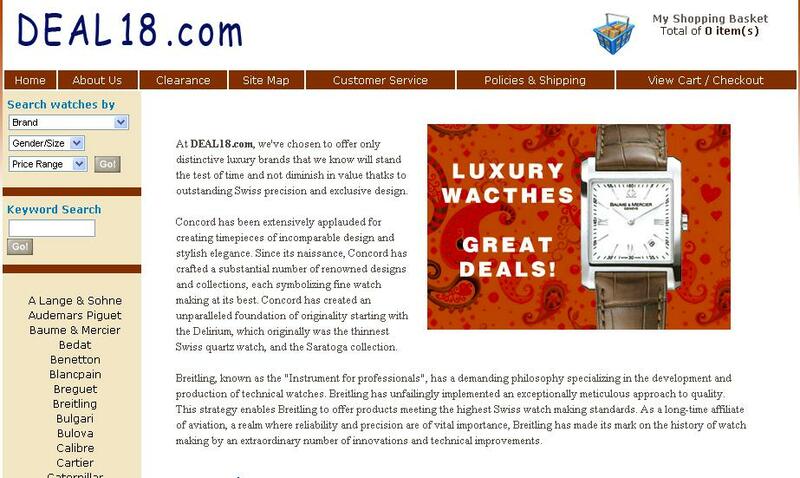 Our current watch web designs as well as our other web designs are currently bringing profit to those companies. Your company, large or small always has room for growth; this expansion can be yours if you are advertising on the Internet. Please take the time to check our watch web designs as well as our others. Begin by putting your ideas and thoughts together and think of the way your company can enter into an aura of prosperity. If you have a product to sell, watches, food, or clothes, etc you need a web design to update your company’s advertising ability. 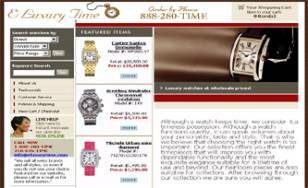 The e-commerce web design can give your watch business as new face! Customers can order any watch advertised on you site, if you do not have the time to check your web site often, your orders could be faxed directly to you. Once your new excited clients are satisfied, they will refer you to other new clients and on and on, do you see expansion? Our foresight and experience can see your company in to the future. Why not call us today and let our team of computer experts show you how you can fulfill this daydream.